One way to examine things is to compare them. Comparing means to find the similarities. 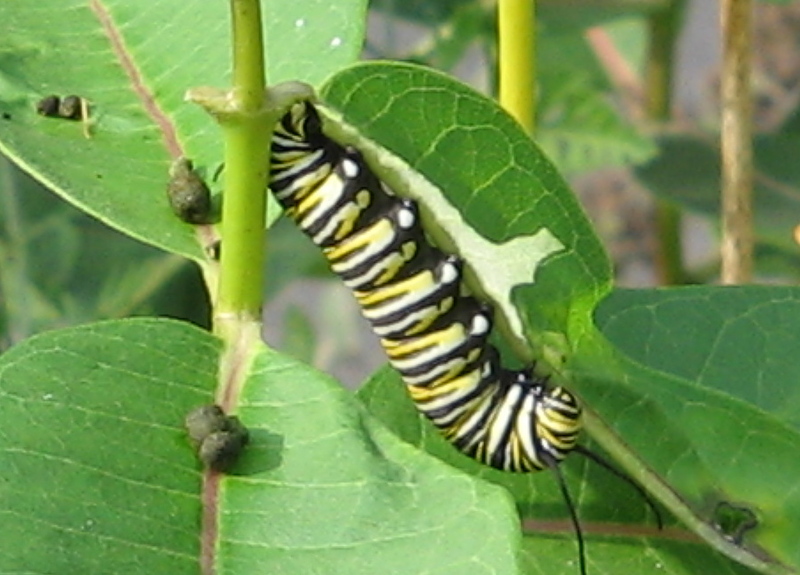 Compare the Monarch Butterfly caterpillar and the Milkweed Tiger Moth caterpillar. I can think of three things that are the same. Milkweed Tiger Caterpillar eating a milkweed leaf. 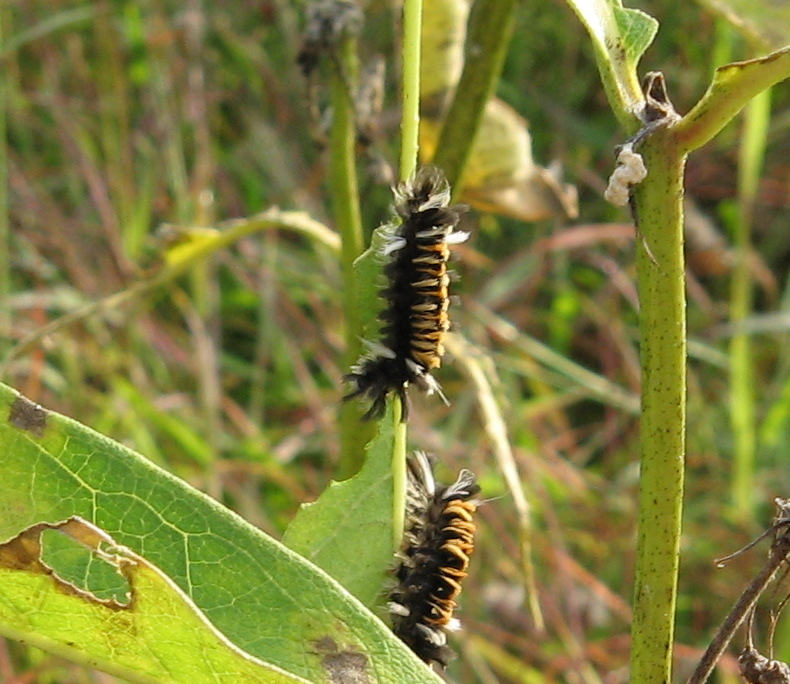 mentioned in Milkweed and Monarch Butterfly Mania.